Speaking of bananas, I’m going bananas. Really. My activity level has ratcheted up to a crazy degree. I’m at work all the time except on weekends, when I’m thinking about being at work. It’s great being energized, full of ideas, and fired on all cylinders. On the other hand, the people I love are starting to get concerned. My mom offered Kenny and me an overnight trip away from it all so that I don’t burn out early in this new job. Isn’t she the best mom ever? The truth is, I have gotten used to being able to do lots of things at the same time, but I don’t know how long I can keep that up. I’ve given up cake decorating class and guitar lessons for now, both of which hurt to let go. Those are fun activities, but they’re also time commitments I just don’t have right now. I told my guitar teacher that I’ll pick it back up when I get my footing at work. The blog is, quite frankly, another concern. Since I took up JAB, I’ve been posting consistently 3-4 times a week. There’s no way that can continue, and Kenny has suggested I knock it down to twice a week. I’m thinking about it, people. I’ll keep you posted. This blog is not just a nice little side business; it’s also a source of passion. It’s just hard sometimes keeping all the balls in the air, especially with my crew at home to take care of. On that ominous note, let’s focus on the good stuff. 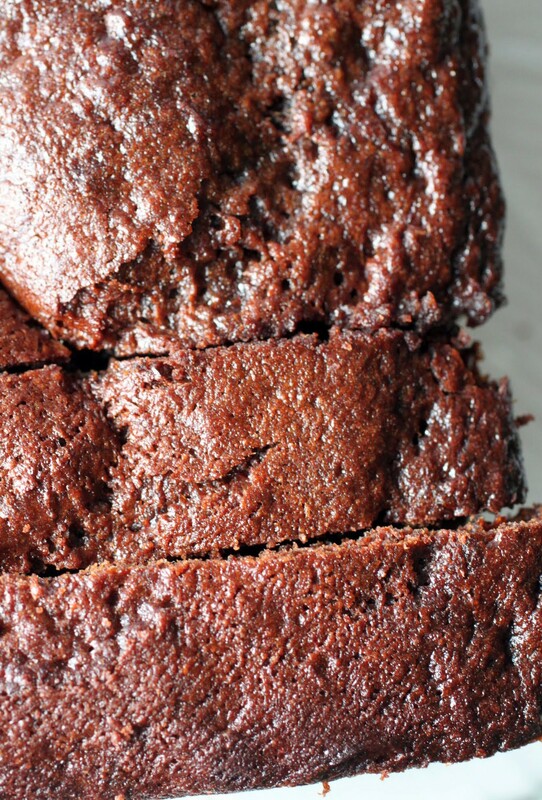 Namely, this double chocolate chunk banana bread! It’s actually pretty healthy, and it’s gluten-free as well. The bread is made with Greek yogurt for added softness and moisture, and cocoa gives it the lovely chocolatey dark color. I filled the bread with dark chocolate chunks, and that’s pretty much all, folks! Right now, life is stretching me in 50 different directions and I’m adjusting. Stay with me during this time and keep reminding me that it’s okay to be human and occasionally post twice a week. Maybe I’ll start listening! 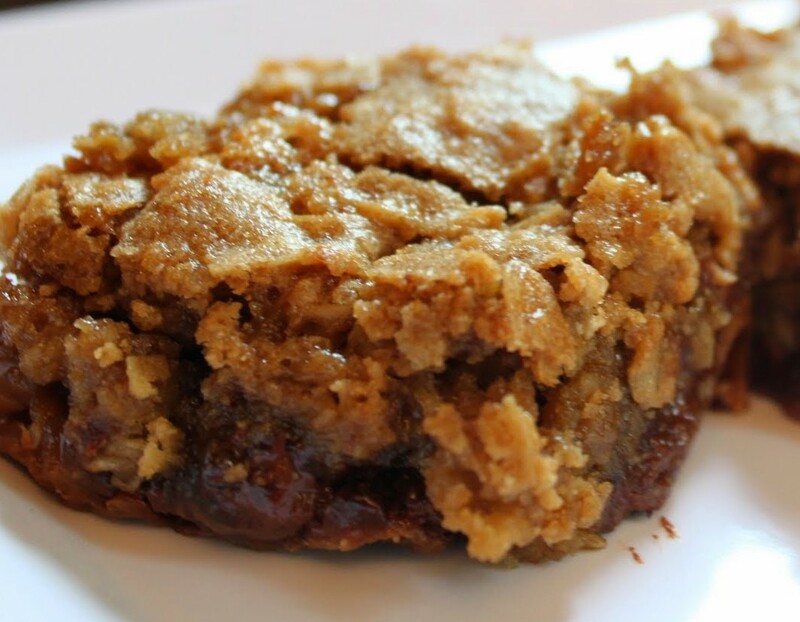 In a small bowl, combine the oat flour, cocoa, baking soda and salt.. Add the dry ingredients to the wet ingredients. Mix until well combined. 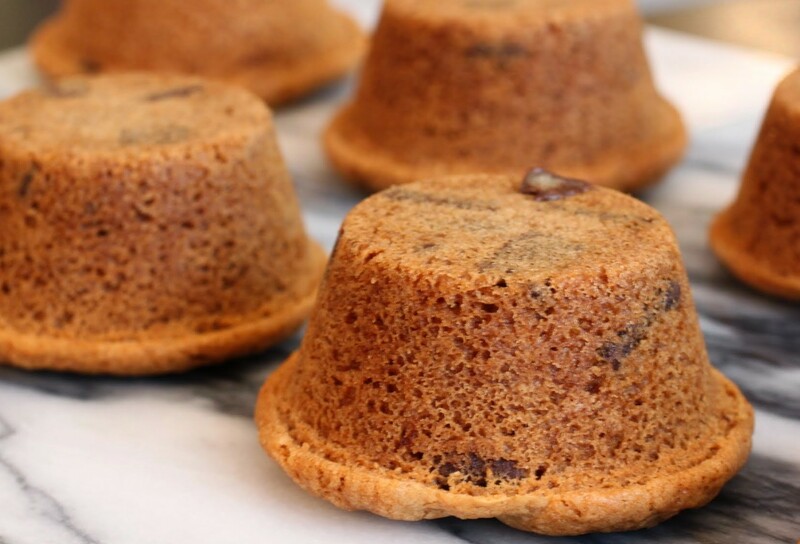 Fold the chocolate chunks into the batter. Pour the batter into the prepared pan. Bake 45-55 minutes until the a toothpick inserted into the center of the cake comes out clean. Mir, you do have the best mom!!! so sweet!!! Go to twice a week, or even once. . I say do what you can. . I went down to one post a week for a while in the summer and even though I’m back to posting a little more frequently now, I’m definitely going to have weeks in the fall where I only post once a week .. we unfortunately can’t do it all (although sometimes I wish we could); if there were 48 hrs in ONE day, maybe 🙂 LOVE this double chocolate chunk banana bread . . holy cow!!! Looks amazing!!! Thanks, Alice. I’m really bad at cutting back on working (a busy life is a happy one and all that), but I really need to be less obsessive about posting. I would LOVE to have more time. I guess we all would! That banana bread looks delicious! I’m sure you wi handle the stress, but be careful you are not just cutting back on free time – your life can’t be all work no fun, you’ll burn out even quicker that way. You need something to take your mind off work! Remind yourself that nobody expects everything to be perfect all times. Sometimes maybe take a step back and reevaluate if every single task you are doing is actually important enough (be that for your wellbeing or in your job) to justify the effort and time you are putting in, at least this is what I do in stressful times, it usually helps me a lot . I’m sure you will do just fine! Thanks, Mirabelle. That means a lot! I do need to remember to have fun, because that can really fall by the wayside in times like this! Hot weather won’t stand in the way of me and my oven either 😉 Yesterday I made cookies and bread – the extra sweat was worth it! That’s why we have AC. To keep baking away! The chocolate version might be my favorite one yet! I have SO many bananas in the freezer. There’s a possibility that the freezer actually only contains frozen bananas and a pizza from two years ago. Usually I just use the bananas for oatmeal, but this looks way better. This really speaks to my relentless chocolate cravings. I love those dark chocolate chunks! Ha! Empty the freezer, Amanda. It’s time! Guuurl, I don’t know how you post so much with your job!! Mad props, but posting 2 times a week is STILL A LOT! I think you should listen to your hubby. Life is too short to be juggling ALL the time!! And your mom sounds fab! Listen to her too and take her up on her offer!! Okay, I’ll stop being bossy now. 😉 So bananas, I always have them! And I always want to bake something with them, but when I go to do so Boy has eaten them all (he’s like a dang monkey). I’m going to have to hide some so I can make him this bread! 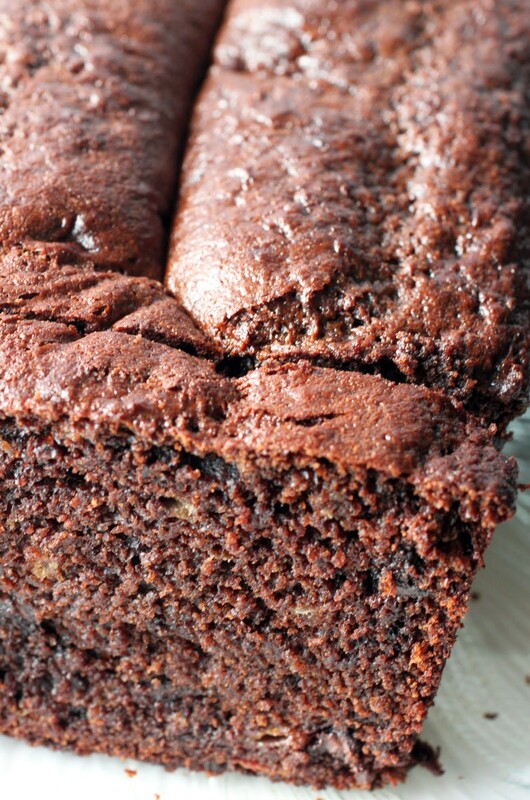 I know he will go crazy for this double chocolaty, chunky, ‘naner bread business! Looks amazing! Pinned! Cheers, chicka. I like it when you’re bossy, Chey. I feel the love! Dude. You can totally slow down! And you probably should before you explode. Posting two times a week is a lot of work, so I have no idea how you do it 3-4 times a week. With a new job and a family, I can see how you might need to take a little break. 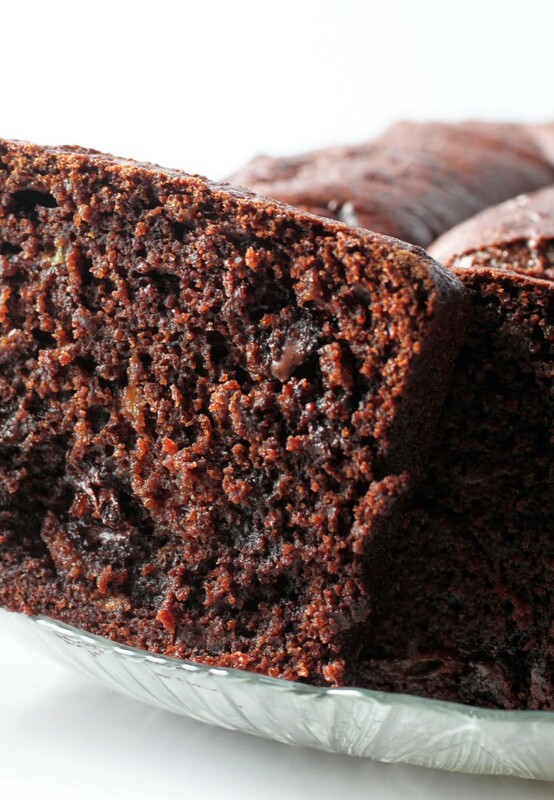 You should take your mom up on her offer, open a bottle of wine, and relax with some of this delicious chocolate banana bread! Hang in there, girlfriend! Exploding is right. So yeah, gonna try and slow down. Or otherwise, insanity. Thanks, Rachelle! Yes I am baking too with the air conditioner, a baker is gonna bake right? 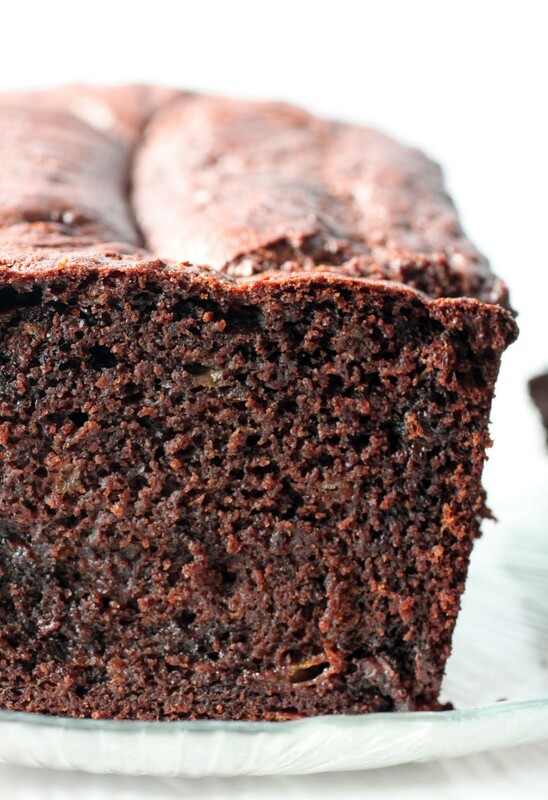 Love these bread, all that chocolaty goodness looks super delicious Mir! Can’t stop baking, can we? Yeah I’d turn the oven on too. This bread looks so stick and moist, totally worth the heat. Completely worth the heat. Thanks, Sophia! It’s true, David. I like being my own boss in this realm, but that means I put a lot of pressure on myself. Thanks for being so encouraging! Thanks, Medha. That means a lot. You’re amazing too! I say just keep doing what makes you happy – even if it means cutting back on the blog a little bit. I’ve been incredibly busy at work and it’s almost impossible to get posts done because I’m also swamped on the weekends with plans and other obligations, so I understand. We’ll be here waiting for more delicious treats when you’re ready to post! 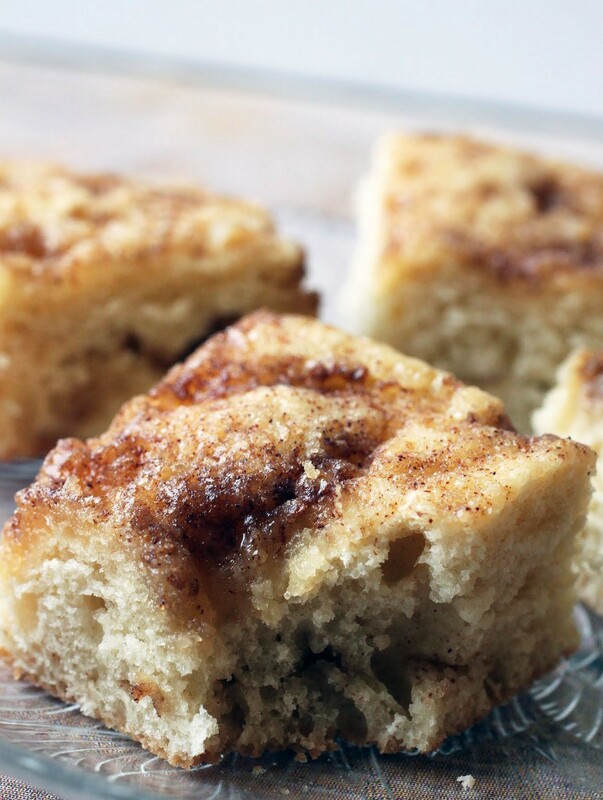 Love the looks of this banana bread – and I totally feel you on the ‘tired banana’. I’m a fellow tired banana over here, lol. So true, wise Jessica! I’ve got to figure it all out!